Attom Data Solutions has announced that MLS data-backed broker valuations provided by Clear Capital will now be available for licensing to Attom clients. “Attom selected Clear Capital for this partnership because its best-of-breed MLS solution stood head and shoulders above other options,” said Rob Barber, CEO at Attom Data Solutions, in a press release. “Clear Capital’s 15 years of strong relationships with tens of thousands of real estate brokers, agents and appraisers have allowed it to build an unrivaled analytics program leveraging MLS data that will help advance that mission,” added Clear Capital Analytics Chief Revenue Officer Russ Johnson. 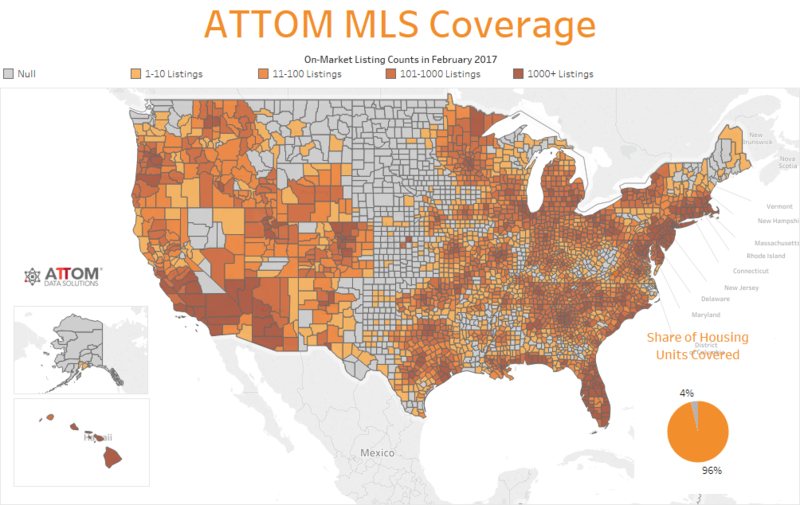 The Clear Capital MLS program provides Attom users with valuation analytics on specific properties that are refreshed with 15 minutes to an hour and cover 85 percent of the United States. Johnson says the valuations are generated and backed by MLS data, such as a property’s characteristic details. More specifically, Johnson says the automated valuations are the result of the “tens of thousands” of brokers, agents and appraisers who use Clear Capital’s valuation clearinghouse platform to connect to their licensed content from MLSs. “[Those connections] produce and deliver the analytics and automated valuations to the financial institutions that order them, much like the workflow for normal valuation products,” he added. Attom noted that every valuation generation from MLS information is via a data access agreement with a broker, and that Attom does not have access to a broker’s feed or direct MLS governed data. Attom says Clear Capital’s valuations are a perfect addition to its fused property database, which refers to the process of taking raw data from hundreds of sources and combining them in the company’s Attom Data Warehouse — a national property database that blends property tax, deed, mortgage, foreclosure, environmental risk, natural and health hazard, neighborhood characteristics and other property characteristic data for more than 150 million properties nationwide. Attom Chief Operating Officer Richard Lombardi says each property’s profile within the database has information coming from more than 400 data sources. Lombardi says he and the Attom team believe the new feature will be most helpful to data analytics, marketing solutions, and title companies, modelers, software providers that service lenders, insurance service providers, lenders and retailers who want to create derivative products or simply want to simplify the data matching process. “Clients can use the MLS analytics for many different purposes, including the ability to create derivative products fueled by Clear Capital MLS analytics and Attom Data deliveries,” said Lombardi. Moreover, Johnson says Clear Capital’s MLS-powered information paired with Attom’s data can be used to streamline and increase the accuracy of the lending and appraisal process. The licensing of the analytics comes from Attom and Clear Capital, says Lombardi, and the delivery of the product will be “flexible and customizable” for each client. The pricing scale is flexible as well and depends on a number of factors that include, but are not limited to, end users permitted uses, geo coverage and how many fields the client needs. Clareity's 2017 MLS satisfaction rankings: Would you choose your system again?